Tooth whitening helps to lighten teeth by removing stains and discoloration. 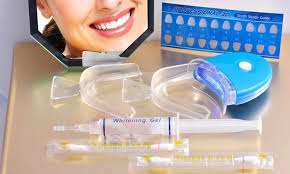 Whitening is one of the most popular cosmetic dental procedures. Normally you will get this process done from time to time to be able to maintain your brighter smile. Teeth whitening is a simple process. Whitening products contain tooth bleaches (hydrogen peroxide or carbamide peroxide) that break stains into smaller pieces. This makes the yellowish color far less concentrated and make your teeth brighter. 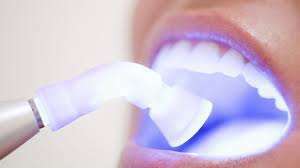 Are There Any Side Effects from Teeth Whitening? Some people who use teeth whiteners may experience tooth sensitivity. That happens when the peroxide in the whitener gets through the enamel and reaches the dentin and possibly irritates the nerve of your tooth. In most cases the sensitivity is temporary. 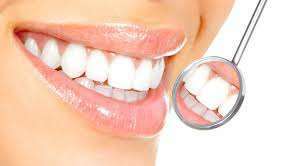 What types of Teeth Whitening are there? Check out the other services that we offer!